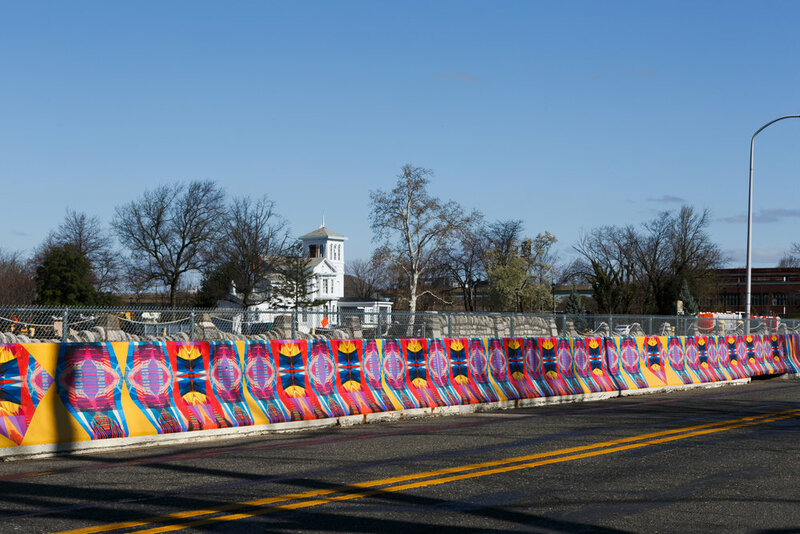 Continuous #12 is a seven hundred foot long mural installation that was inspired by one piece of art. 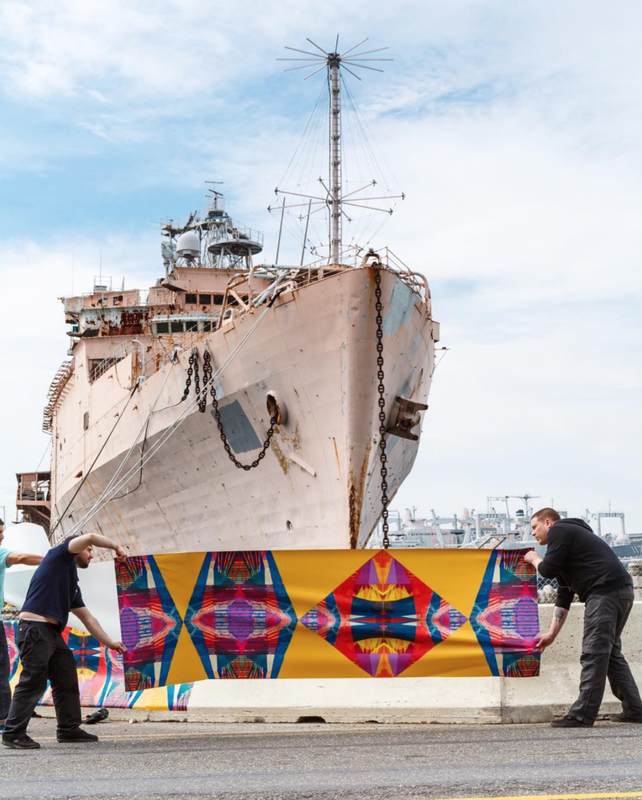 This vinyl applique is the newest installation at the Philadelphia Navy Yard, by artist Destiny Palmer. In this mural, Palmer explores how color and pattern evoke memory and engage in a multicultural and multigenerational conversation. As a curator on this project, I worked with Destiny to develop a design using digital manipulation to transform one piece of art by layering drawings, gestures, and color to allow for multiple reiterations that could be repeated like fractals. 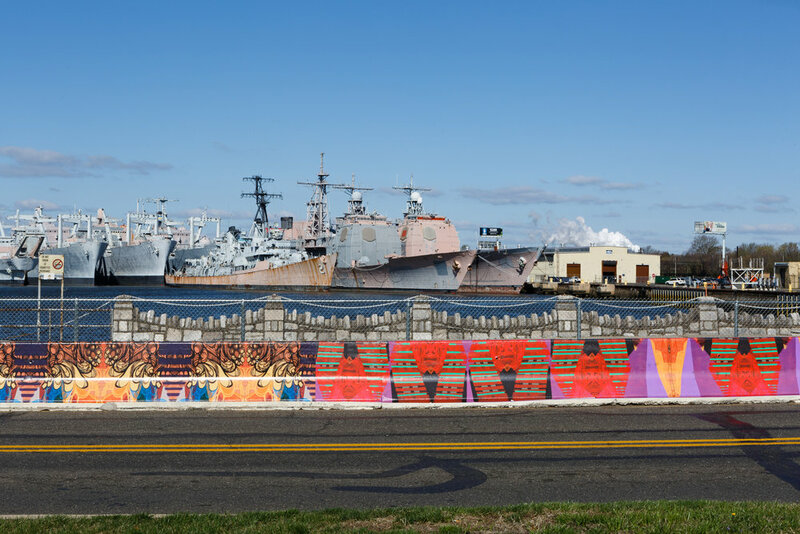 This mural, installed on a concrete barrier at the entrance of the Navy Yard's 1200-acre campus, is intentionally placed in a high-traffic intersection. The work evolves and transforms through the viewers experience in transit.